While in port in Montreal, create your own itinerary and set your own timetable with a ticket on the hop-on hop-off city tour. During this sightseeing shore excursion, you can get on and off as you please at any of the 10 stops, which include major attractions such as Notre Dame Basilica, Chinatown and Mount Royal Park. 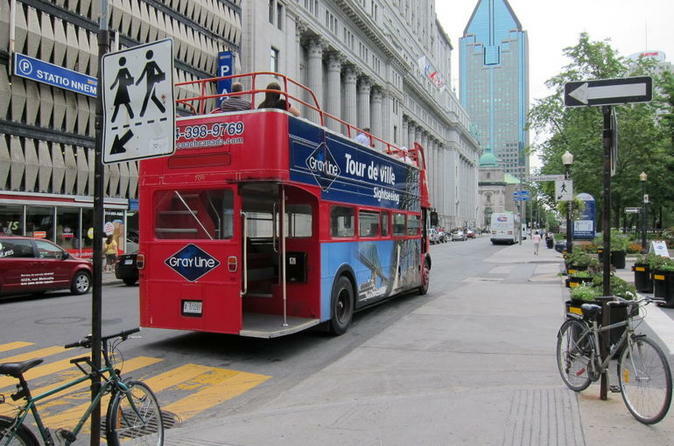 Make the most of your time in port in Montreal with a ticket for the hop-on hop-off city sightseeing tour. On this shore excursion, sit back on a double-decker bus as you tour Montreal at your own pace. With access to the top attractions, a hop-on hop-off tour is the best way to get to know a city you are not familiar with or will only see for two days. This excursion is located within a 5-minute walk to the cruise port, so you determine the time you return to your ship in Montreal. Please allow yourself ample time to enjoy the excursion and ensure your timely return to the port. This excursion is not covered by our worry-free policy.